This life-size statue was created as a perfect replica of a treasured 12th century Byzantine Madonna del Pozzo. It was meticulously hand-sculpted in stoneware, and hand-painted in acrylics, with colors matched perfectly to the ancient original. 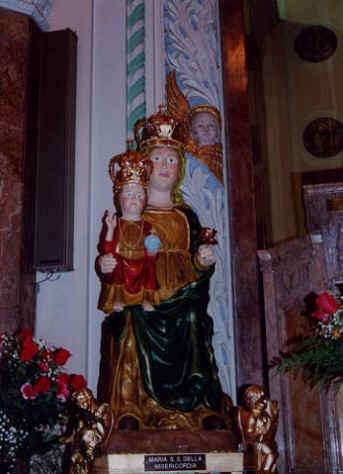 Both Madonna and Child have masterfully hand-carved glass eyes. 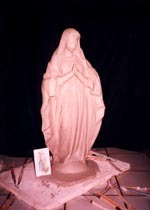 The statue has been consecrated and is now permanently housed in the Saint Anthony's Parish in Everett, MA. This piece was designed and sculpted to honor aviation ministry and His Holiness Pope John Paul II during his 25th year of serving God and mankind worldwide. 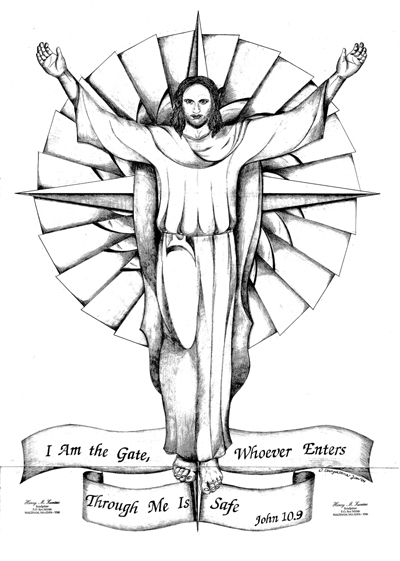 The inscription reads "I Am The Gate; Whoever Enters Through Me Is Safe. 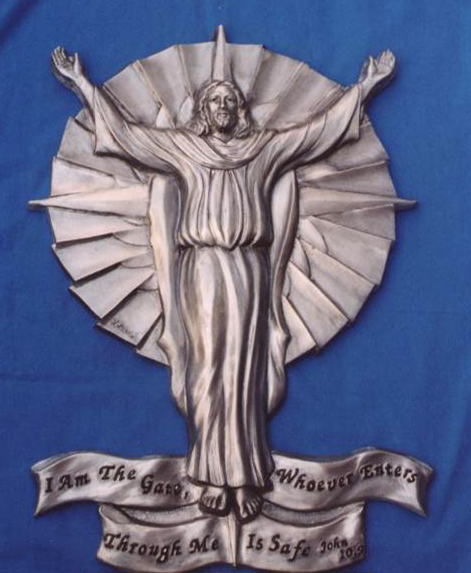 John 10.9" Commissioned for the European Secretariat of Catholic Airport Chapelains. 5At left, the completed sculpture. 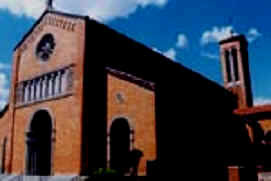 At right, the artist's concept. This beautiful garden statue was custom-created by the artist in fine white clay and painted in acrylics and enamels. 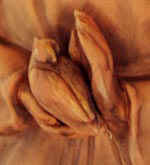 Note the individually hand-crafted roses at the base of the statue, which give the piece an exquisite and original touch. 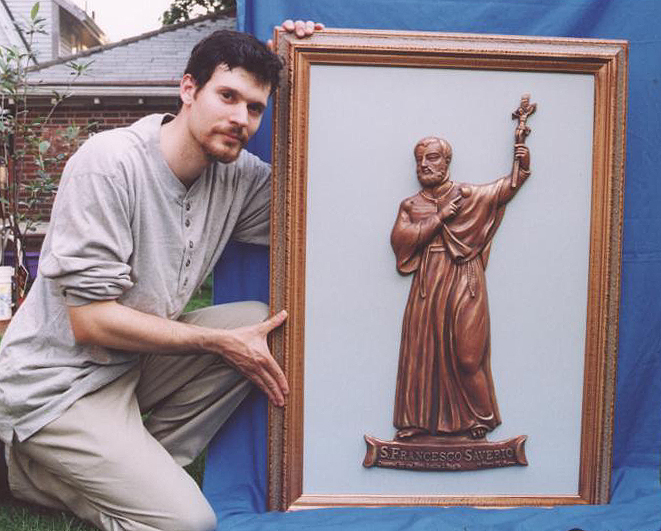 First-ever sculpted bas-relief of Saint Francis Xavior. 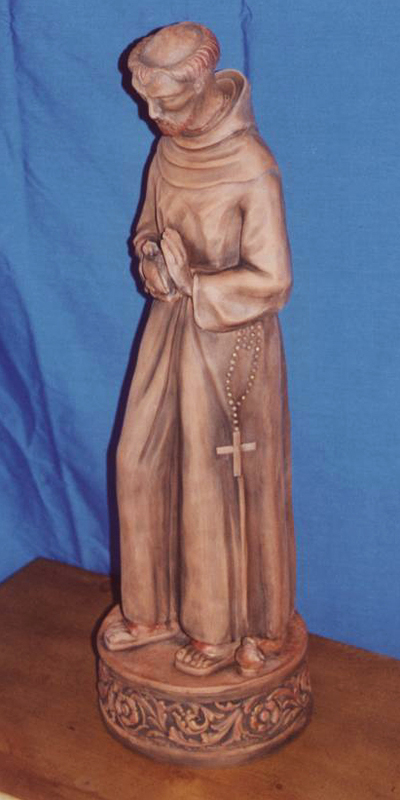 Commissioned by a convent in Rome, Italy. Hand-sculpted in fine terra-cotta. Mounted in hand-crafted frame. 50"H.